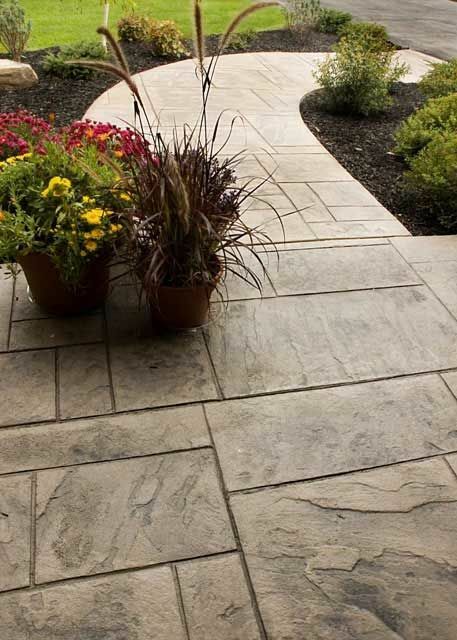 In Ohio, people prefer stamped concrete for decorating their outdoor space. 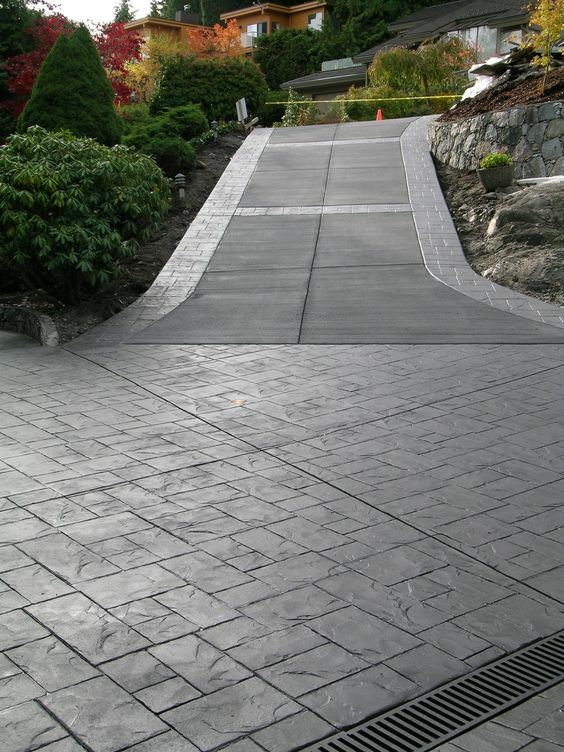 Stamped Concrete is a cost-effective and durable solution to decorate walkways. 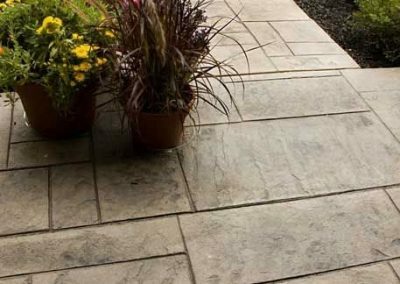 Generally, stamped concrete is used to uplift the looks of driveway, walkway, and patios to enhance the overall appeal and functionality of the outdoor space. 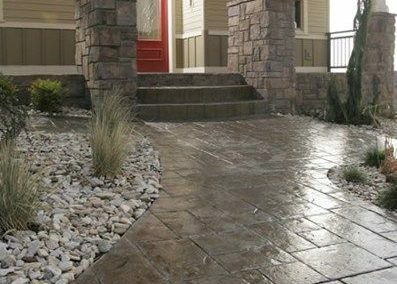 Based on how it is used, there are three stamped concrete types namely basic, intermediate and high-ended. Basic consists of repetitive design from a single mold of brick, flat stone or cobblestone. Intermediate is when two or more colors and two molds are used for designing, and a border is used. 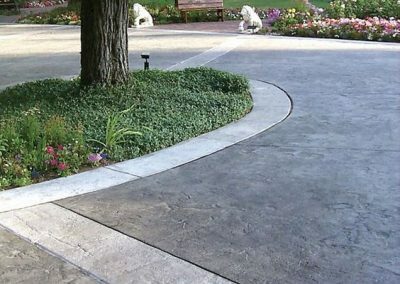 The high-ended method includes saw-cutting, hand-colored concrete, and hand-tooled edges to build beautiful walkways and patios. 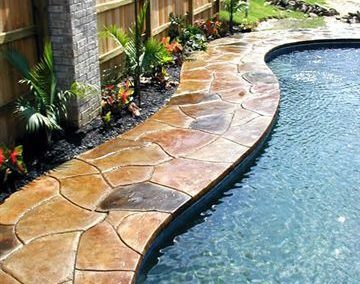 Only stamped concrete contractors are skilled in saw-cutting, and they should be hired for creating the geometrical designs of logos/images. Experts who know hand coloring should be hired as they have the experience to select the right color for a natural finish. Hand-tooled edging is used to carve stone edges giving a natural finish. Hand-colouring is used for creating the natural wood floor, coloring stones, and stamped leaf patterns. Homes sporting a patio looks inviting to the family, relatives, friends, and guests. It is ideal to build memories and throw parties. Simple simple stamped concrete patio design ideas blend well with the architecture of the home. The best strategy is to plan the shape of the patio first which can suit the surroundings. 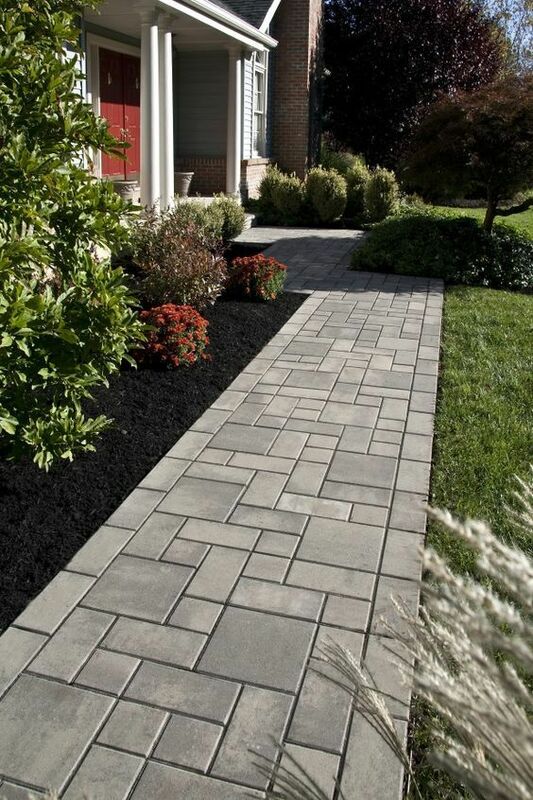 After that, implementing a classy stamped concrete design which is flexible is a better way to design your space. It takes the rectangular, round or square shape of the patio. Once in place, there are concrete patio designs layouts that one can use – basic, intermediate and high-ended. 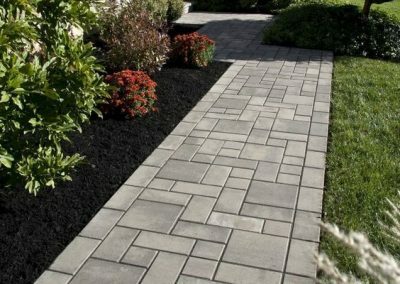 Depending on the shape of the walkway you can think of implementing stamped concrete walkway ideas where you can think about implement the following. Straight: Modern homes create a walkway that leads visitors directly to the main door. Since a straight line is the shortest distance between two points, it is the best route. Also, it costs less than the winding or curved walkway. Curved: When a straight walkway cannot be made due to obstacles, it is better to make curved walkways. 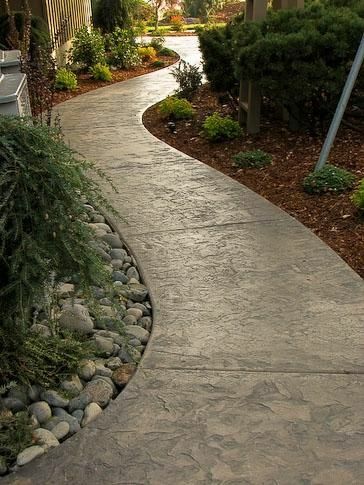 People with impressive front yard landscape can lead their visitors through curved walkways. 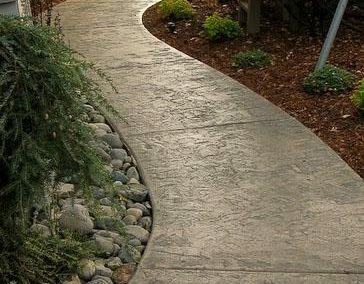 Filling the walkway with a durable stamped concrete is a practical idea. Stamping mats used for making the stamped concrete look like you have used a stone to build it. The color which you can use are grey or brown, and the border could be light grey or cream. The simple design with a solid contrasting border looks sophisticated. 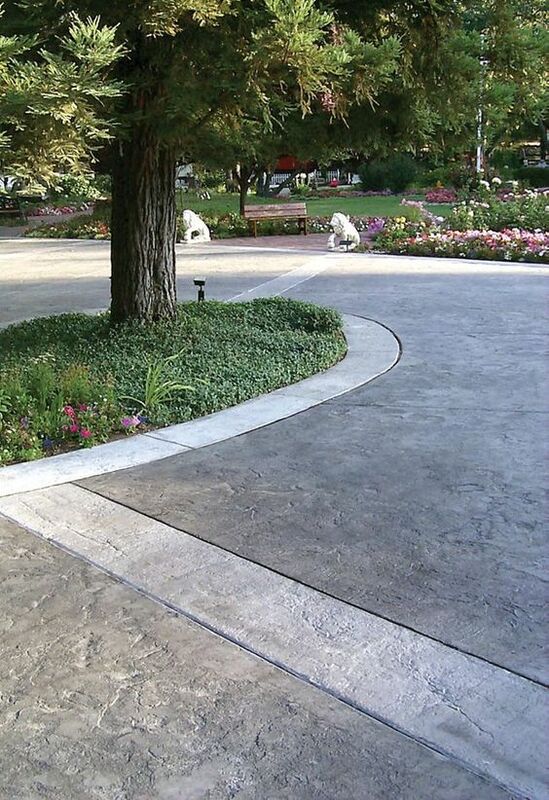 The seamless stamped concrete texture is used for covering large areas. 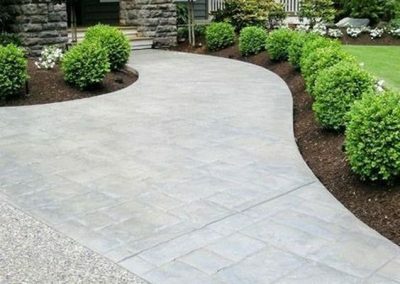 The pattern should be continuous and if it is a concrete stone-like pattern and not like joined stones then it will look more appealing. 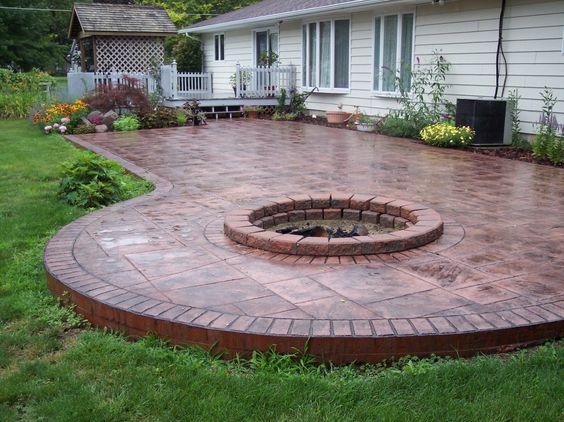 Stamped concrete is available in different molds of bricks, and flat stones. In basic style, only one shape and the color is used as a mold. With intermediate, one can use two or more colors and two molds with borders. Thus, intermediate looks like a professional finish. 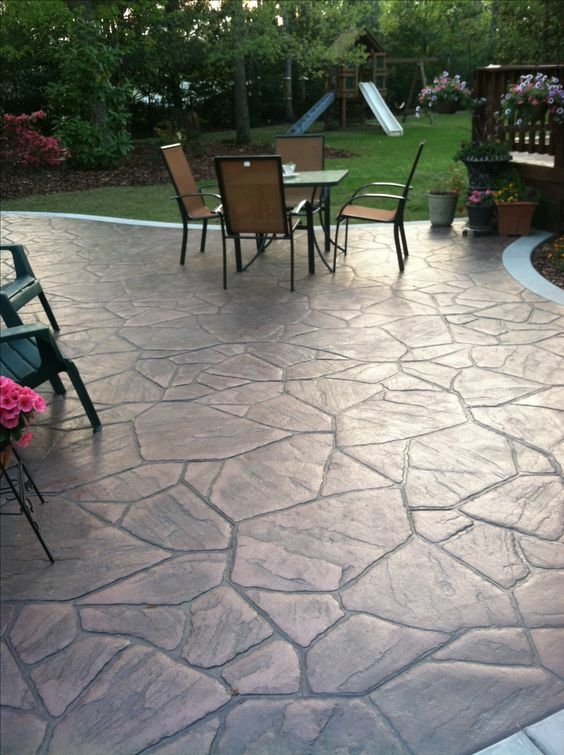 Stains and dyes are mixed with concrete to create different colored stamped concrete. 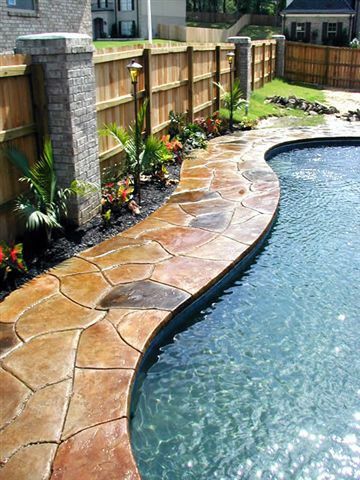 Often, coloring is carried out before placing the stamped concrete. As a result, the color does not get faded or chipped. Brownstone insets between large slabs of limes which looks charming and antique. 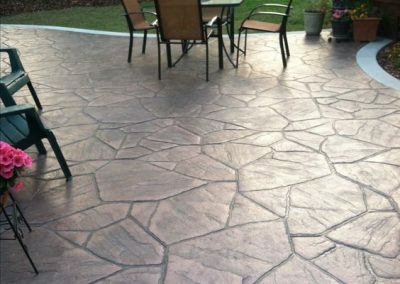 This can be created with stamped concrete with colors and polish finish. Outside the Queen’s Castle in London, stamped concrete that is used shows granite stones with a light texture on top. This design is very appealing and pleasing to the eyes. The walkway has used more than one contrasting colors and it creates a special geometrical harmonious design at the King Abdullah University of Science and Technology. Borders can be made with different materials including brick, stone, and more. 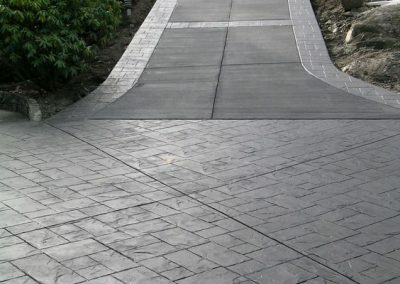 However, when stamped concrete is used for forming the surface of the walkway, the border is generally made with the same material with a contrasting color. 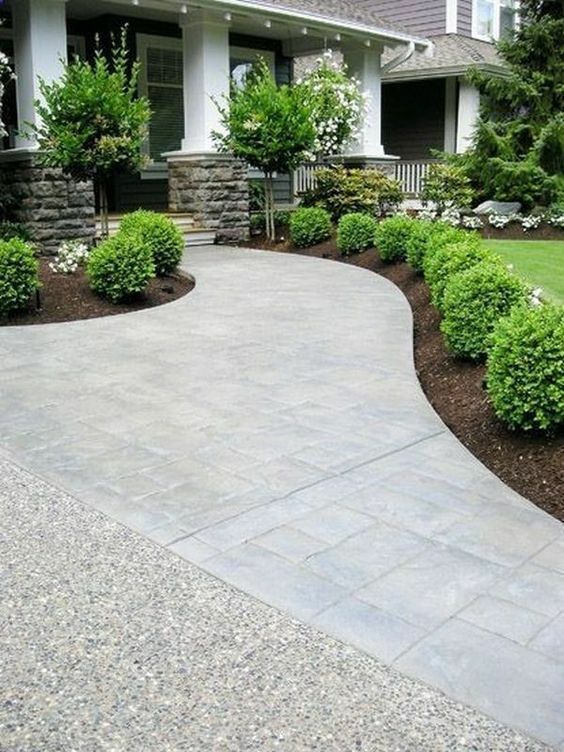 Adding decorative borders with high-ended designs would make the walkway appear more interesting. 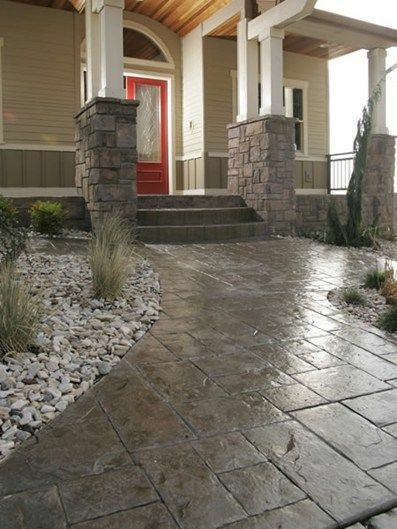 Decorative borders can be created with two contrasting colored stamped concrete or stones like granite or limestone.